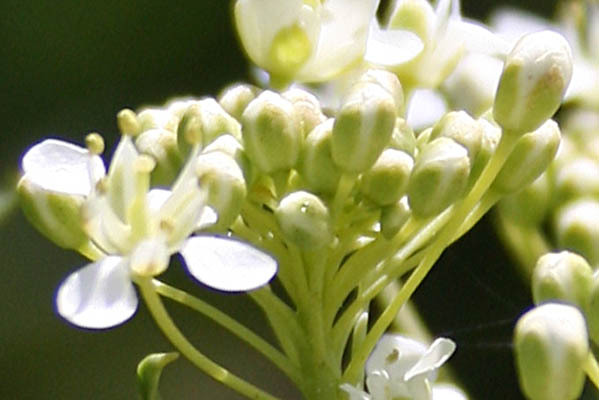 Synonym name: Lepidium draba L.
Cardaria, from the Greek word kardia (heart), and refers to the heart-shaped fruit of Cardaria draba. However, not all the fruit in this genus are heart-shaped. 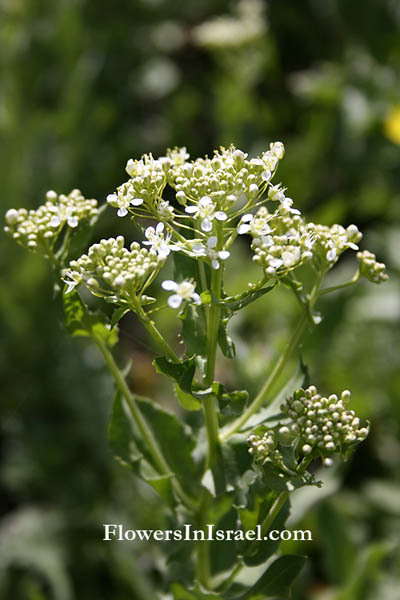 draba, from the Greek drabe, sharp or acrid and refers to the burning taste of the leaves. Lepidium, from the Greek lepidion, small scale, in allusion to the flat shape of its fruits. The standard author abbreviation Desv. is used to indicate Nicaise Auguste Desvaux (1784–1856), a French botanist.